A gloomy New England mansion provides the setting for this classic exploration of ancestral guilt and its expiation through the love and goodwill of succeeding generations. Nathaniel Hawthorne drew inspiration for this story of an immorally obtained property from the role his forebears played in the 17th-century Salem witch trials. 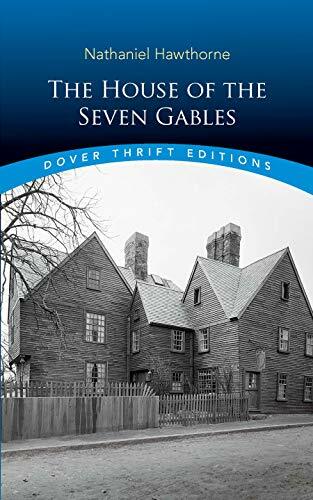 Built over an unquiet grave, the House of the Seven Gables carries a dying man's curse that blights the lives of its residents for over two centuries. Now Judge Jaffrey Pyncheon, an iron-hearted hypocrite and intellectual heir to the mansion's unscrupulous founder, is attempting to railroad a pair of his elderly relatives out of the house. Only two young people stand in his way â a visiting country cousin and an enigmatic boarder skilled in mesmerism. Hawthorne envisioned this family drama of evil, revenge, and resolution as a microcosm of Salem's own history as in idealistic society corrupted by greed and pride. His enduring view of the darkness at the heart of the national soul has made The House of the Seven Gables a landmark of American literature.